I'm posting this in honor of Halloween. 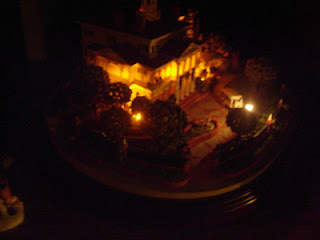 This piece is a miniature of Disneyland's Haunted Mansion, by master artist Robert Olszewski. 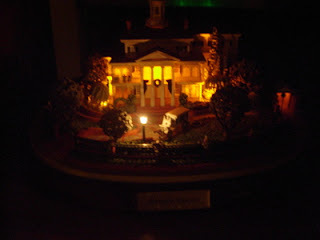 This particular piece was part of special merchandise celebrating Disneyland's 50th Anniversary. 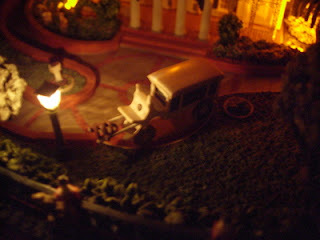 Mr. Olszewski is creating everything at Disneyland in miniature. His work is really quite amazing! He's a nice guy, and really enthusiastic about his creations and he should be. 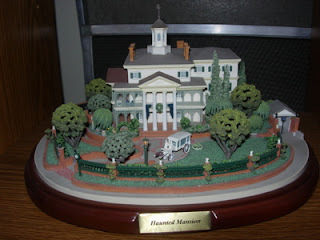 If you didn't know better, you might think this is a picture of the real Haunted Mansion!